Lock-Tech Systems offer a comprehensive supply and installation service to ensure that your automatic doors operate correctly and safely. We also offer our customers service and maintenance contracts, as well providing a reactive on-call non contracted service. Probably the greatest single benefit of automatic doors is the ability to offer easy access to anyone. 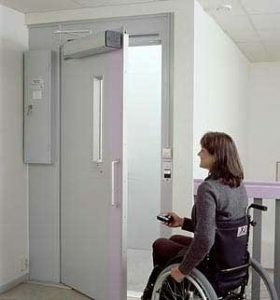 Many disabled people experience problems using traditional manual doors due to the physical effort required. The situation is often made worse by poor door and access designs and the use of heavy door closers. Currently most manual doors and hardware are designed with the average able-bodied person in mind and this means that they can be difficult for the disabled or elderly to use. 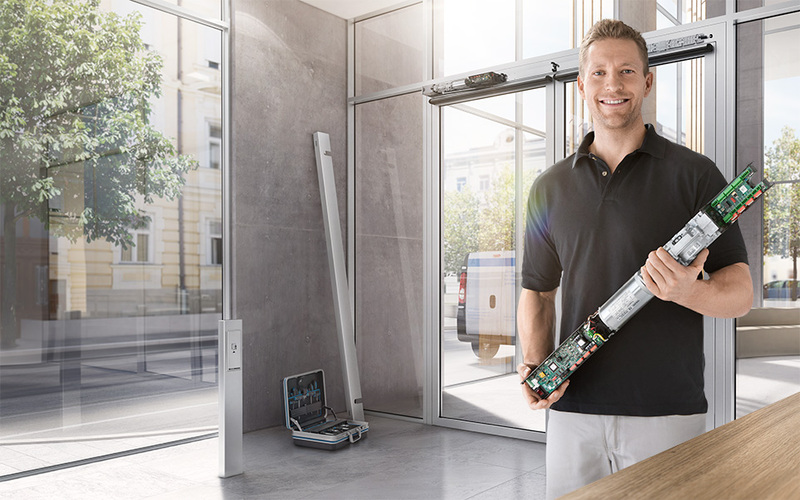 Replacing the manual doors with automatic, powered or low energy doors allows door opening and closing without the need for physical effort and so eliminates this obstacle. The growing awareness over the years of the need to improve access and facilities for disabled people has led to the creation of new building regulations and improved standards of access to public buildings. For example, the introduction of The Disability Discrimination Act 1995 means that there is legal requirement for building owners to ensure that there is appropriate access to all public buildings and rented accommodation. For this reason accessibility issues are increasingly being addressed and in many situations the simple addition of door automation is the solution. Lock-Tech Systems specialise in the installation of swing-leaf Automatic doors and the conversion of existing doors to accept this equipment. Our expertise in Access Control devices allows us to seamlessly integrate these technologies with powered door systems and increase their functionality for the user and make better use of existing security systems. 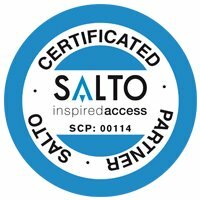 Closed circuit entry-phones, remote entry devices and SALTO access control can all be used together to keep security high and give access where it is needed. Powered doors are also common on the main entrances of high street shops or supermarkets and Lock-Tech maintains Automatic Door systems for a number of local businesses in the South Wales area where our proximity and dedication to our customers ensures the highest quality in service and response.